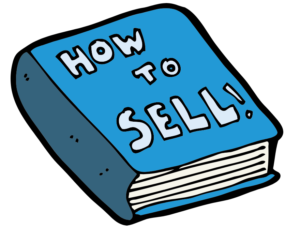 As a business owner you might have aspirations to sell your business one day. Even if you don’t you would benefit from it being more valuable. 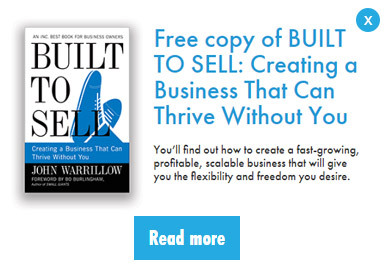 Why not make your business more sellable today and benefit from that value now? More of a business that can thrive without you, and so be an asset for the future. I live in Ossett and we used to have a fire station – I pass it most days. The station is now owned by Lifertz, a very successful platform-hire business owned by Malcolm and Ben Bowers. When it was a fire station I noticed that fire engines always back into the fire station. Like the firemen, you, as a business owner, need to be ready when you get the call from someone who wants to buy your business. According to the latest 2019 Sellability Tracker report, the proportion of business owners who received an offer to buy their company in 2018 was about 12% of business owners using The Value Builder Score. You could be in that 12%. Whether you’re planning to sell your company sometime soon or sometime in the future, you want to be ready for that call. Now is the time to ensure that your business ready. For most SME’s the biggest improvement to be ready is to make sure the business isn’t all about you. From the latest Value Builder research here are two key factors that are linked to the probability of getting an offer for your business when it’s time to sell. You’re almost twice as likely to get an offer if your business can survive the “hit-by-a-bus” test – If you were out of action for three months and unable to work, would your business keep running smoothly? So, the more your staff and customers need you, the less valuable your company will be to a potential acquirer. One good way to start making your business more independent is to begin spending less time at the office. Start by not working evenings or weekends, and don’t reply if employees call. Once they get the picture, the best ones will start making more decisions independently. The shift will also expose your weakest employees, the ones that need training or that need to find another job. As for you, it might come as a shock to find out how much your business has become such an essential part of you; but if you’re going to sell your business one day, you need to look at it as an inanimate economic engine, not as something that defines who you are. Companies with a management team (as opposed to a sole manager) are getting offers at almost twice the rate – If you don’t have a management team, hiring a second-in-charge (2iC) is a good first move. A second-in-charge can help you balance the demands of running your company and advance your targeted exit time. Here’s a four-step plan for hiring a 2iC, thanks to advice from Bob Sutton, author of Good Boss, Bad Boss. 4: Shift from manager to coach. “The transition from manager to coach is a gradual evolution. The goal is to ask more questions, spend more time listening, and spend less time talking and directing,” says Sutton. To conclude, if you want more money, time and a business that is a real asset for the future, then just like firemen be ready for that call today. Go back to your office and start working on building your team and especially get a second-in-command. If you feel like that’s something you want to do then I’d like to give you this complimentary copy of the key chapter in this business changing book: The Implementation Guide – How To Create A Business That Can Thrive Without You. It might be the first step to creating the business and lifestyle you dream of.